Our friendly experts will arrive fast and quickly make repairs to help you feel safe again! A home burglary seems like a worst-case scenario and something that happens to other people, but never to us. And yet, over two million homes are robbed in the United States each year. It’s a frightening occurrence, but if we take steps to call the police and rebuild our security system, we can start putting our life back together. We are Houston Locksmith Pros, here to help make things easier for you with our fast and reliable burglary damage repair services. Now that you’ve taken all the immediate steps, it’s time to look into damage repair. 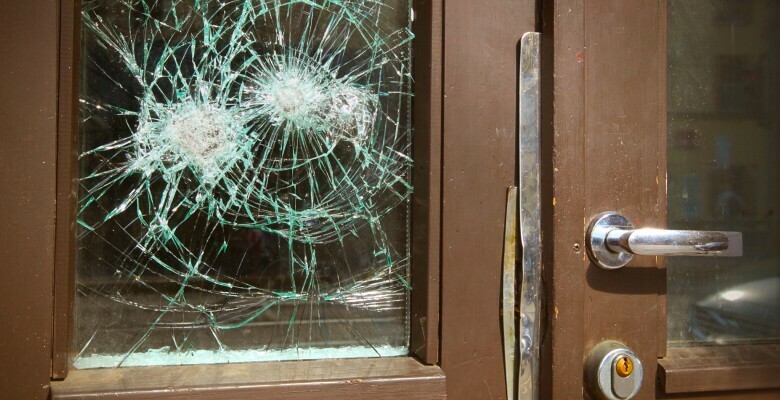 We offer burglary repair services to help you fix your security system and start feeling safe in your home again. We offer a full range of services, from lock repair to security system installations and upgrades. Fast response times – We know that you don’t have time to sit and wait around after a burglary. When you call, we’ll be there in thirty minutes or less so you can sleep peacefully again. Non-stop availability – We know that criminals don’t wait for the most convenient time to rob a house. We’re there whenever you need us, whether it’s early morning or the middle of the night. Direct, up-front pricing – The last thing you should have to worry about is your locksmith surprising you with hidden charges or fees. That won’t be an issue with us, our constant pricing policy means that you’ll know exactly what you’re paying from the start. Reliability – We’re fully licensed, insured, and bonded, making us a team that you can count on. Full installation and repair services – Our trained team of technicians helps us provide some of the best locksmith services in the area. If you’re looking for a local emergency locksmith, we offer fast, friendly, and reliable services to help you get back on your feet as soon as possible. Our expert lock repair provides the best security for your money, while our security system installation services help you take it a step further. Whatever your level of security, we’re prepared to help you with repair, replacement, and installation. We can work with you to come up with great home security solutions that will work with your individual needs, your budget and your personal style of home decor. If you need our services, we’re here to provide the best 24-hour locksmith services in Houston Texas. Our complete range of home lock and key solutions include fast home lockout assistance, lock changes and rekeys and broken key extraction.